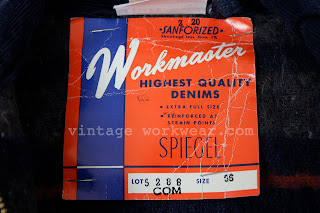 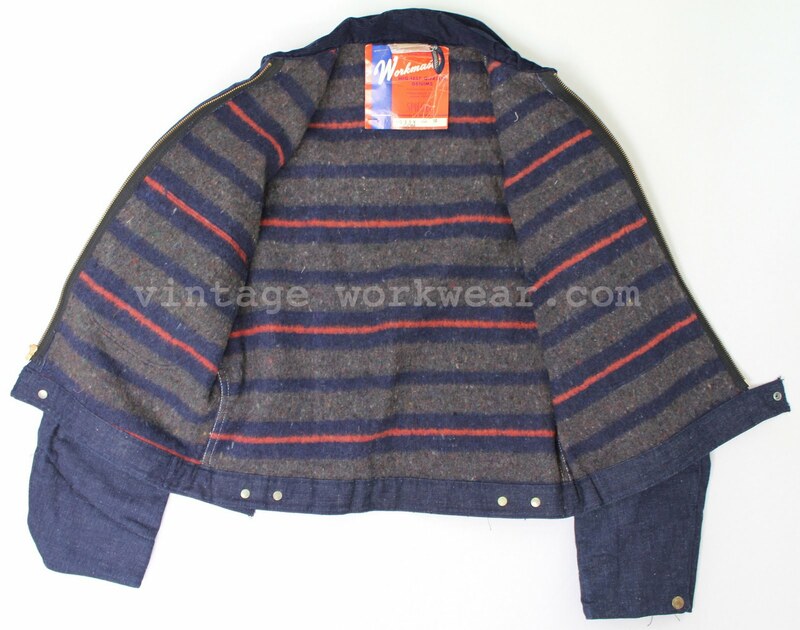 Vintage Spiegel Workmaster denim jacket in mint deadstock condition. 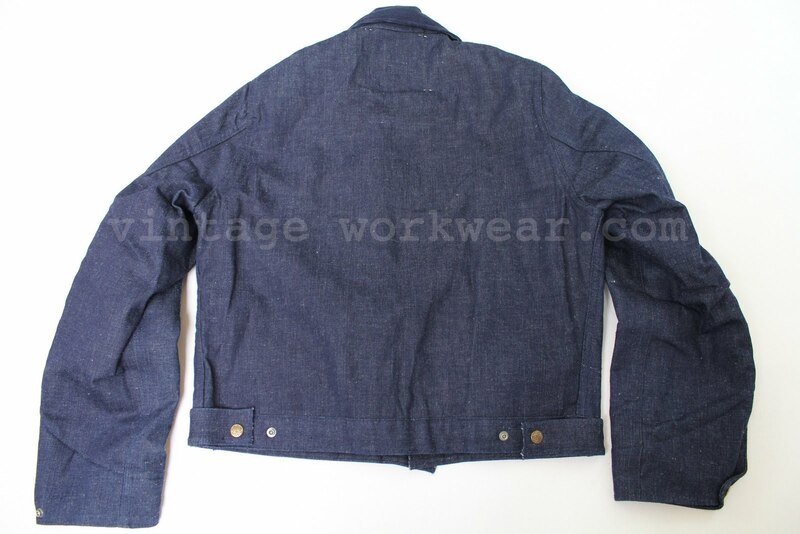 Much favored short style work jacket reminiscent of traditional Eisenhower or "Ike" work jacket, hence the name Battle Style. 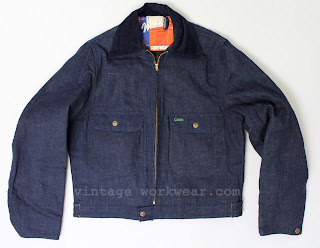 One of 6 similar jackets from the vintage workwear collection, others to be featured in future posts. Sold via The San Fernando Valley Mercantile Co.
• 10oz •SANFORIZED• indigo dyed slub denim with heavy grain. • Troy Mills pre-shrunk wool blanket lining. • HD Conmar zipper front closure. 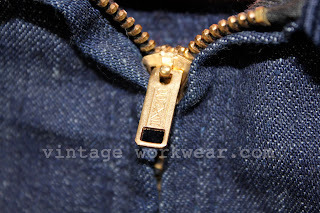 • Front patch pockets with snap closure. • Snap closure side waist adjustors, cuffs and front waistband. Jacket as seen in SPIEGEL Home Shopping Book, Fall and Winter 1953. 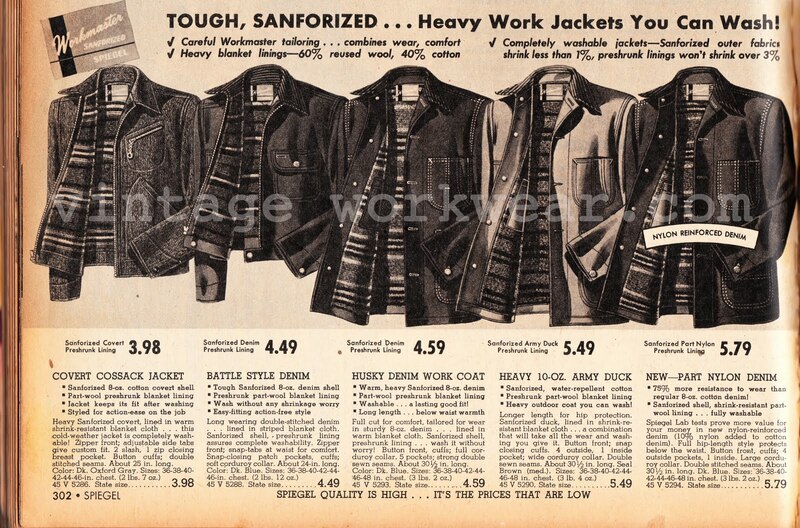 Jacket details for the1968 version remained virtually unchanged except for the use of heavier 10 oz denim, compared to the 8 oz denim used on the earlier versions and a price increase from $4.49 to $4.99. 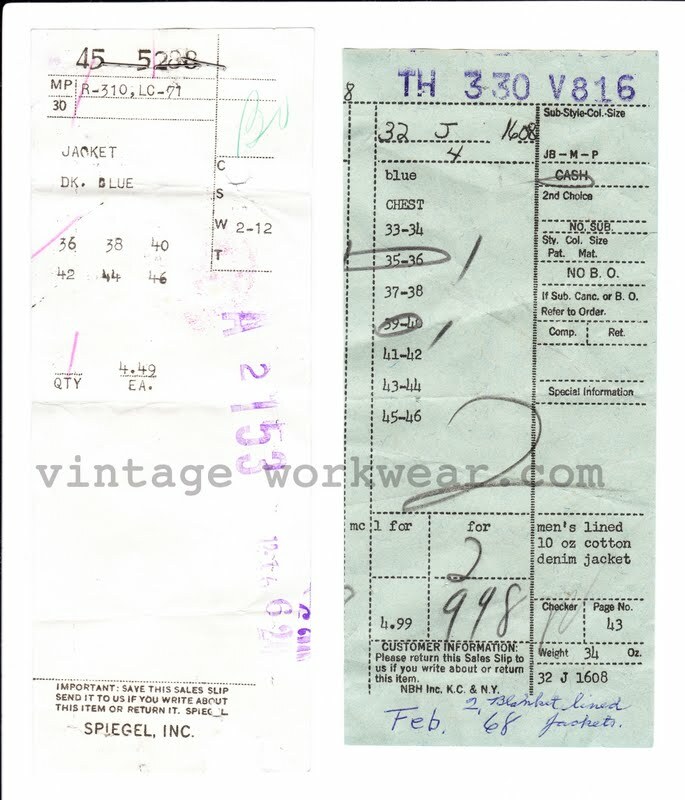 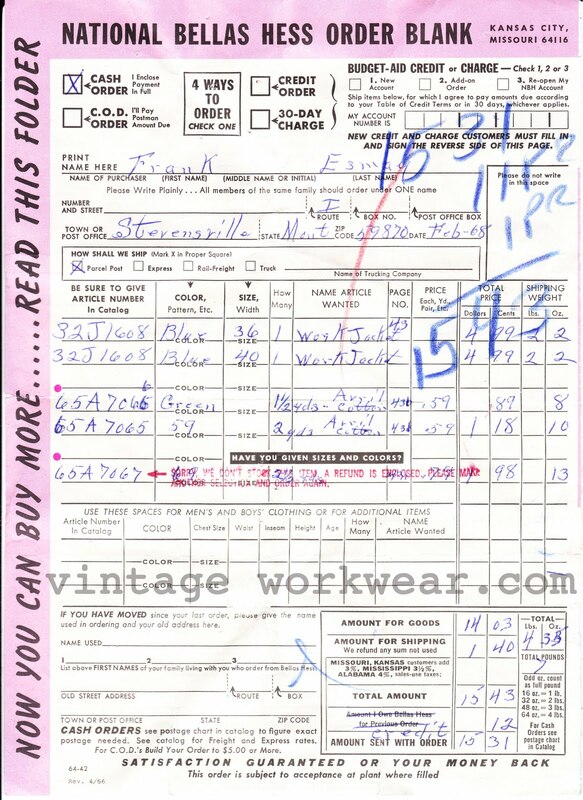 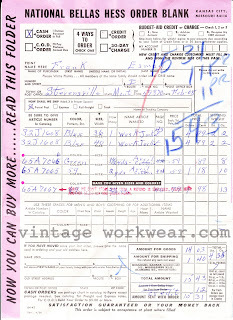 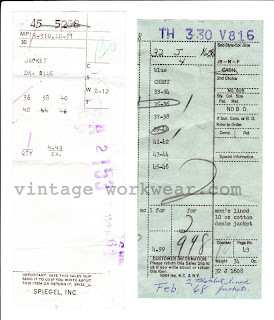 Original order form and sales information found inside chest pocket dates this jacket to 1968.